The Most Haunted House in England - Ten Years Investigation of Borley Rectory, Harry Price, Longmans, Green and Co. London 1940. The End of Borley Rectory, Harry Price, Harrap, London, 1945. Harry Price - The Biography of a Ghost Hunter, Paul Tabori, Athenæum Press, London 1950. 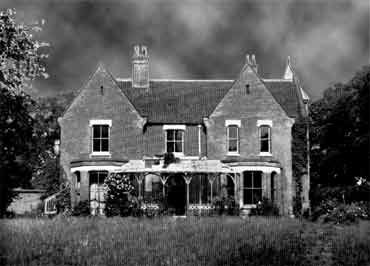 The Haunting of Borley Rectory – A Critical Survey of the Evidence by E. J. Dingwall, K. M. Goldney and T. H. Hall, Proceedings, Society for Psychical Research, January 1956. An Examination of the ‘Borley Report’, Robert J. Hastings, Proceedings of the Society for Psychical Research, Vol. 55, Part 201, March 1969. The Ghosts of Borley - Annals of the Haunted Rectory, Paul Tabori and Peter Underwood, David & Charles, Newton Abbot 1973. Search for Harry Price, Trevor H Hall, Duckworth, London 1978. The Alleged Haunting of Borley Rectory, Iris M. Owen and Paulene Mitchell, Journal of the Society of Psychical Research, Vol. 50, No. 781, September 1979.